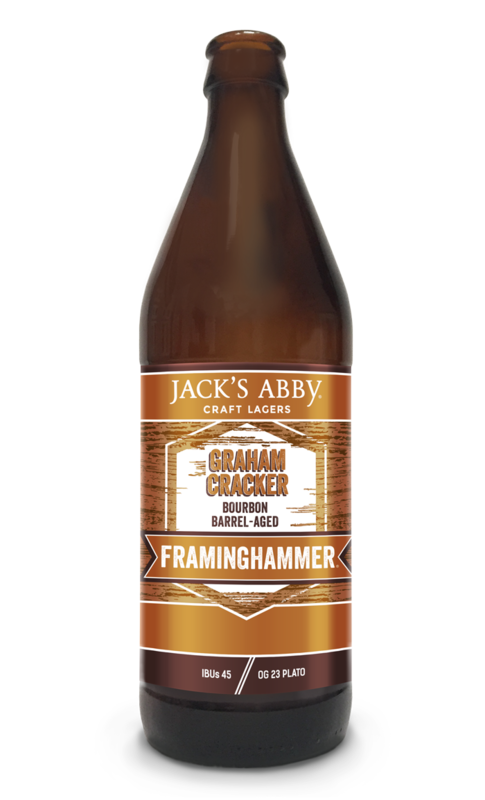 Interesting Brews: Jack’s Framinghammer Graham Cracker Bourbon Barrel-Aged. Big, bold, black, & aged in bourbon barrels with graham crackers & lactose. The lengthy conditioning period in the barrels creates a silky smooth chocolatey mouth feel enhanced by the use of oats & brown sugar during the brew process. Noticeable sweetness gets balanced by roasted malt & hop bitterness. 12% ALC, 1 Pint .09 Fl. Oz.